Half Past October: Free Shipping at #HolySnails This Weekend! This weekend only, get free shipping at Holy Snails Shop! 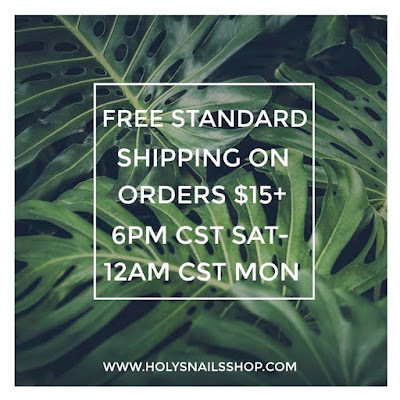 From 6pm CST on Saturday, August 12, until 12am CST on Monday, August 14 - Holy Snails is offering free shipping on all orders $15 or more, WORLDWIDE! Do not miss out on this amazing offer!